Cake Decorating is something I thought long and hard about including on this website - as the website is mainly a recipe site - however, I realized that it is becoming a dying art - and something well worth sharing. It's difficult to remember exactly when my infatuation with cake decorating began - I recall staring in awe at some of the beautiful birthday cakes that were purchased for me as a youngster - all beautifully sculpted with Buttercream. In the mid-90's I enrolled in private cake decorating classes from one of the finest teachers in Perth, Carole Dawson. Everyone who takes on this craft has some part of it they prefer to others - my love is the sculptured blossoms, and the ability to make them look so life-like. Other students were especially gifted at lacework, embroidery and the stiffened tulle decorations. Most modern contemporary wedding and celebration cakes are being commercially produced at the rate of knots - and the prices being charged often seem exhorbitant when scrutinizing the workmanship involved. Somehow, through the need to commercialise this artform, icing seems thicker, flowers seem less "real" or delicate, and the cakes themselves seem less unique. I have finally decided to create a new YouTube Channel devoted purely to those who want to learn how to do Cake Decorating. The videos are numbered - and complexity and difficulty will grow as the numbers do - so rest assured, you can go from knowing nothing, to beginner, to intermediate to master cake decorator - if you take yourself through the videos one at a time. As I create a new video, I will be sure to add it to this page. The recipes and instructions are designed primarily for you to enjoy the craft enough to create your own masterpieces at home, however - if you are interested in competition work, I will always be sure to tell you what to look out for, and which techniques will attract points if done well. If you are going to go ahead and attempt this beautiful and extremely rewarding craftwork, there are certain tools of the cake decorating trade that you will need to acquire. Many of them you probably already have lying about the house, some you will need to purchase. WARNING: Although individual items of cake decorating equipment are relatively inexpensive, be sure not to buy the shop like I did. I stocked up on every cutter, every board, every little gadget - and let me warn you: most of it was unnecessary and never used (later sold on ebay). Most importantly - have fun with this craft work - it was something that occupied my mind through many a crisis; took the edge off some painful times; filled many days with wonderful laughter while I worked alongside new-found friends at my cake decorating class; earned me some extra small income when my significant other was inbetween jobs; and made me feel very special when my four young children would seat themselves at the table to watch me create my masterpieces (not to mention steal the offcuts of fondant..). If you're looking for further inspiration and ideas, I have come across another wonderful website that I highly recommend. 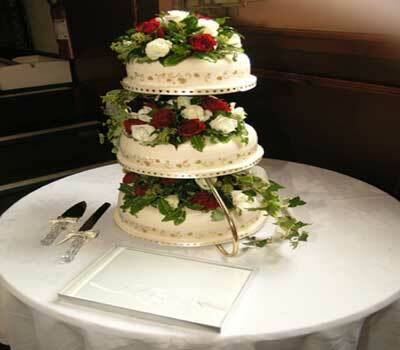 Wedding Cakes For You is a website that you can spend hours browsing through, and is also interactive. Lorelie (the website owner) has done a remarkable job and invites her viewers to share their wonderful creations - and it is through these creations that you can be inspired, learn techniques and gain ideas for your own magnificent cakes. Feel free to join her facebook page and become a member of her website - Lorelie would love to incorporate your creations into her pages. Do you have a Creation you'd like to share with us?